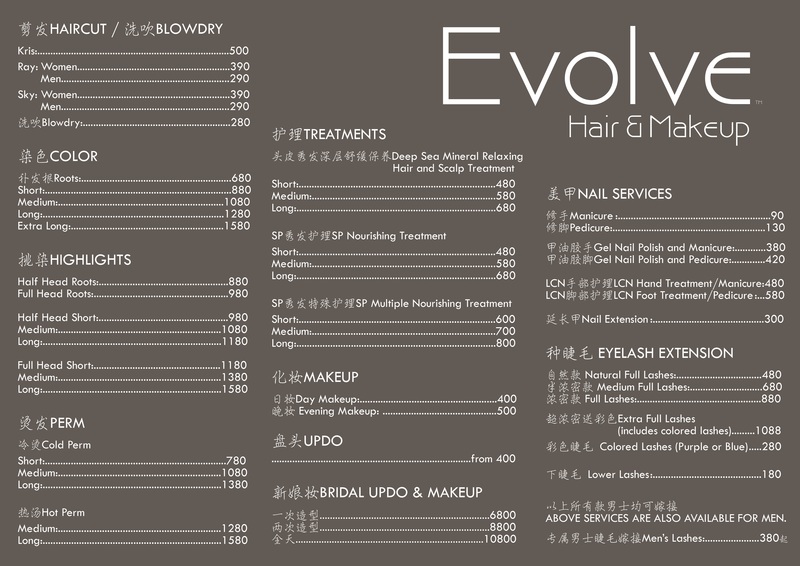 Evolve Hair and Makeup salon is the first of its kind in Beijing. Having mastered hair styling techniques across the whole European mainland and skills in professional makeup application in London, Swedish-born Kristoffer Liu and his team bring a new twist of Scandinavian beauty and style to Beijing. Being fluent in Swedish, Danish, English, Chinese, and having some knowledge of French and German, language is never a barrier to achieving your desired style at Evolve Hair and Makeup. You will receive a careful consultation with a stylist to find hair styles, colors and makeup looks that work for you, ensuring total satisfaction. Enjoy a fresh makeover for your hair and relax with exquisite beauty treatments in a luxurious setting. We have a whole menu of face, hair and other beauty options to tempt you, so make sure you spend some time pampering yourself during your stay at Kempinski Hotel Beijing Lufthansa Center. With over ten years' experience in hair styling and coloring, 15 years of makeup experience, a multilingual environment and great care for their clients, this Scandinavian-inspired salon is a must-visit. For enquiries, please call +86 10 8451 1877 or email evolvebeijing@hotmail.com. Click here to download and browse the price list. We recommend making an appointment at least one day prior. Receive a complimentary one-hour fitness class at Pulse Health Club for every 500 RMB spent at Evolve Hair and Makeup Salon.